Today was a good day. E is almost 5 weeks old and it’s still very much a round-the-clock job looking after her. So days like today, when I’ve grabbed 15 minutes here and there to tick a few jobs off the list, feel like a triumph. In the days straight after E was born, hot meals were hard to come by. My mum came to the rescue with stew and soup, and kept us going until we found our feet. I’m still finding my feet, but making a concerted effort to start a routine, and part of that is home cooked food and a decent meal each night. A timesaver and somewhat of a God-send has been the Instant Pot. If your food has finished cooking, then it automatically goes onto a keep warm mode – no cold food, and no burned saucepans! 1. Dice onions and add cooking oil (I use a mild olive oil mix). Press Sauté on the Instant Pot. Cook until soft, stirring occasionally. 2. Add the rest of the chopped veg and continue to sauté for a few mins, sweating down veggies. 3. Add water and bouillon, then cayenne pepper to taste. 4. Place lid of Instant Pot on, set to Manual for 15 mins. 5. Once the manual programme has finished, allow steam to vent. 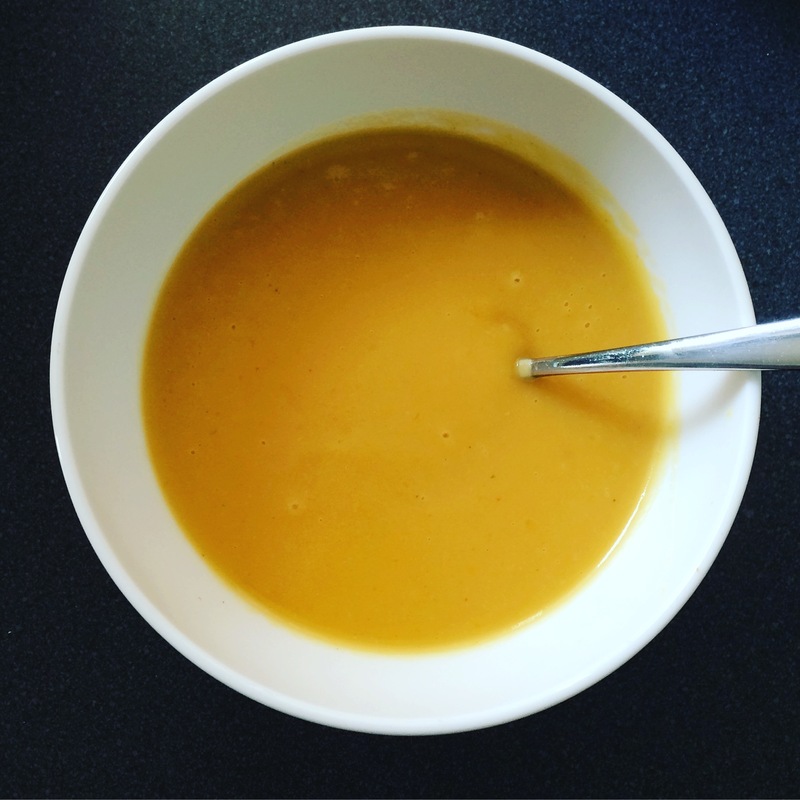 Open Instant Pot and blend down ingredients to a smooth consistency. 6. Serve with crusty bread! 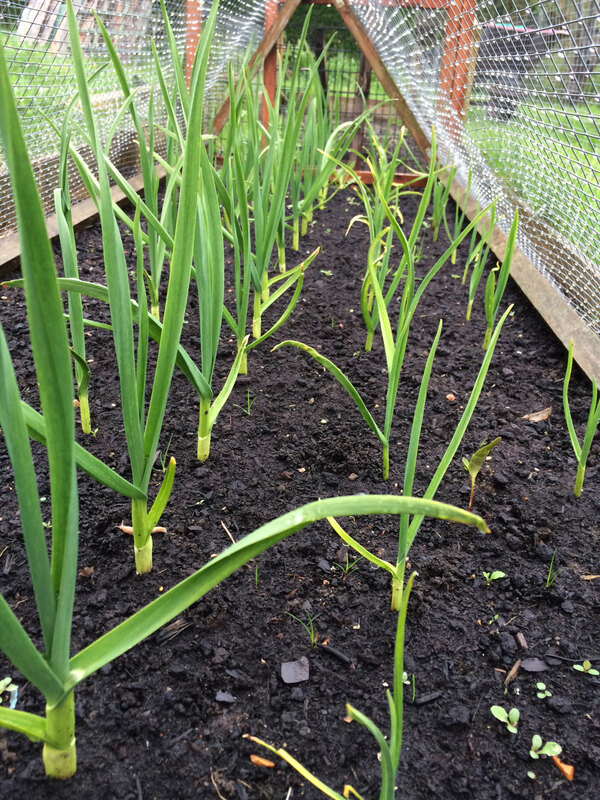 I’ve been banging this drum for years; you simply cannot beat the flavour of homegrown garlic. That’s why every year we plant some bulbs, grow them organically before harvesting enough to get us through a few months without having to resort to sub-standard supermarket fare that’s been flown halfway across the world. This year we tried two varieties; Cristo (one of our favourites) and Solent Wight. We did have a pretty bad case of rust, but it just seemed to affect the leaves and not the bulbs (and it means we won’t be able to grow any allium on that patch for a few seasons). The Cristo definitely outperformed the Solent Wight in terms of bulb size, but I feel like we didn’t have enough of a cold snap at the beginning of the year to promote bulb growth and division. Regardless, we’ve seen got a few decent sized bulbs, and crucially, they smell just amazing. Last year I lost a lot of bulbs as I harvested them during a prolonged spell of rain and damp weather, and they went soft and mildewy very quickly. This year, we’ve had the intense heat and lots of sun, so the bulbs have been drying out nicely on a rack in the greenhouse. I’ll wait until the outer layers of the bulbs are papery and crisp before transferring them indoors to store somewhere cooler but with plenty of air circulation. One of my simple pleasures in life is to make homemade vegetable soup from homegrown ingredients. 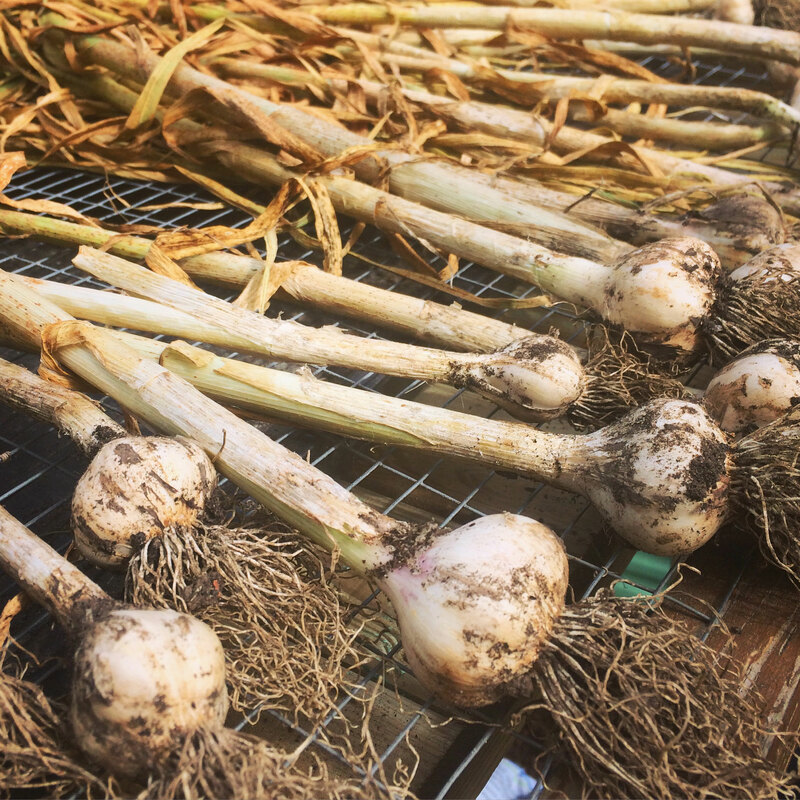 The addition of homegrown garlic and onions brings a new level of flavour and fragrance to my cooking and just takes it into a realm of its own. Rich is more of a fan of homemade garlic bread, and we both enjoy the zingy fresh flavour in homemade pasta sauces too. After eating slightly disappointing shop-bought garlic for a few months, I really don’t realise what I’m missing until I take that first taste of homegrown. Next time, we’ll grow even more to get us through the year. And if you haven’t tried it, you should. You’ll never look back.